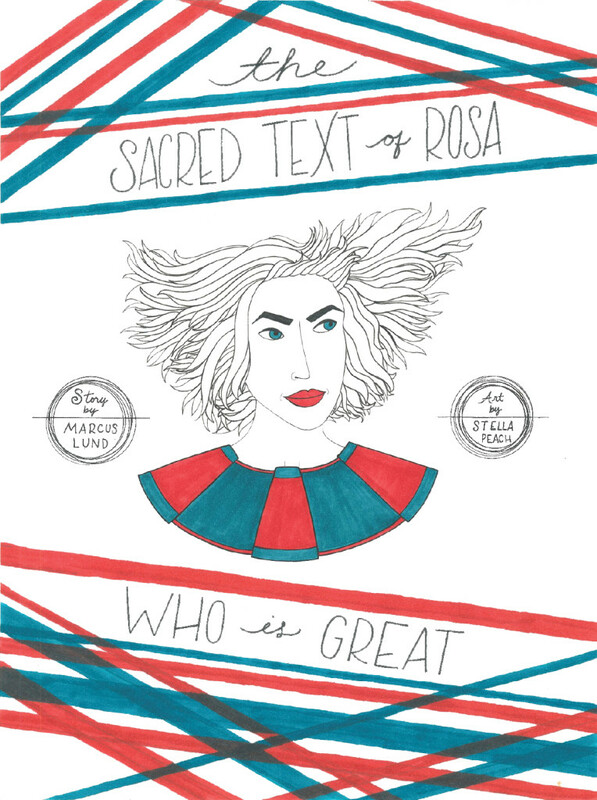 The Sacred Text of Rosa who is Great is Marcus Lund’s first book. With illustrations by Stella Peach, the book was originally published across social media throughout the month of August 2014 (facebook, twitter, instagram, tumblr). The Sacred Text of Rosa who is Great was published by Quiet Lighning Books in 2016. The book was printed using risograph and was a very limited run. You can purchase your copy here.